Could you please help me identify the stamps and tell me what time they might be from? Thank you very much for your help. 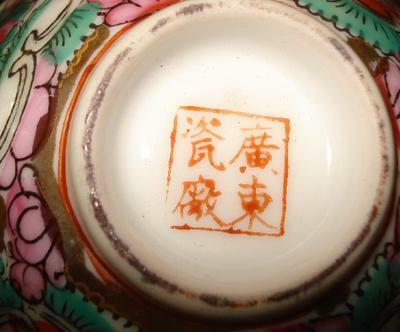 Age/Dating cannot be told by mark with Chinese porcelain. 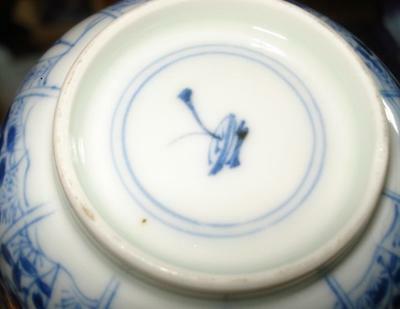 Look like Kangxi pictorial marks, could be apocryphal. 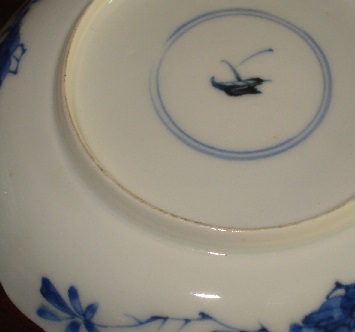 Fourth: "Guangdong Cichang" Made by Guangdong Porcelain Factory. 20th century, cannot tell age.